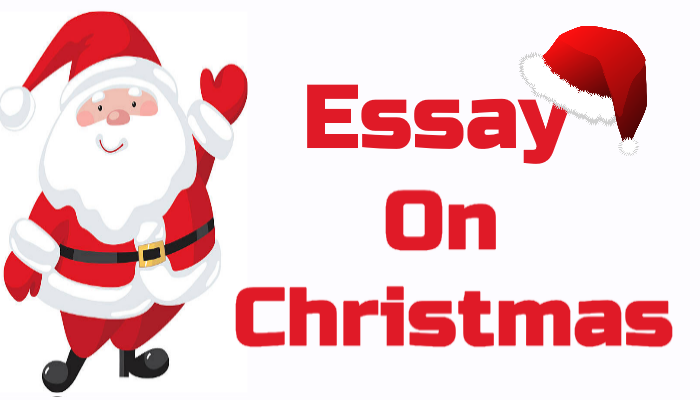 Christmas Essay: Christmas is an annual festival commemorating the birth of Jesus Christ. Christmas is a cultural and religious festival. Every year people celebrate Christmas on 25th December all around the world. People of religious enjoy and celebrate Christmas. Christmas is one of my favorite festivals. On this day I and my family do a lot of shopping. We buy festive look clothes, Toys, Christmas trees, Christmases cakes etc. After Buying Christmas tree i decorate it with beautiful stars, Noels, Glitters, Candy Sticks. I also hang up my stockings on this Cristmas tree and hoping that Santa Claus will leave a nice gift for me, My Parents put lovely gifts inside my stockings when i go off to sleep at night. On every Christmas, i gave gifts and christmas cards to my friends and teachers. On Cristmas Day my parents gift me somthing special and i also gave them nice gifts. I buy these gifts with my pocket money. I wish everyone a Merry Christmas and we visit our friends and relatives to exchange gifts and enjoy christmas. We also go to Church for Prayers. Mom Makes Our Favorite dishes on christmas and we also invite my friends on dinner.